Pet Emergency? Call us right away at (705) 472-1570! At Blue Sky Animal Hospital we are dedicated to becoming your partner in your pet's health care. We treat your pet as we would our own. Our goal is to practice the highest quality medicine and surgery with compassion and with an emphasis on client education. Our entire healthcare team is committed to providing personal attention to the unique concerns of each individual pet owner. Should you have any questions, if you would like a tour of our facility, or if you would like to make an appointment, please do not hesitate to contact us at 705-472-1570 and speak to our friendly health care team. We look forward to meeting you and your pet! Blue Sky Animal Hospital is now offering Stem Cell Therapy as an alternate therapy for dogs and cats suffering from arthritis and other forms of joint pain. Please visit our section on Stem Cell Therapy for more information. To find out if Stem Cell Therapy is a viable option for your pet, please book an appointment with Dr. Porter. He will gladly examine your pet to see if he/she is a candidate for Stem Cell Therapy. 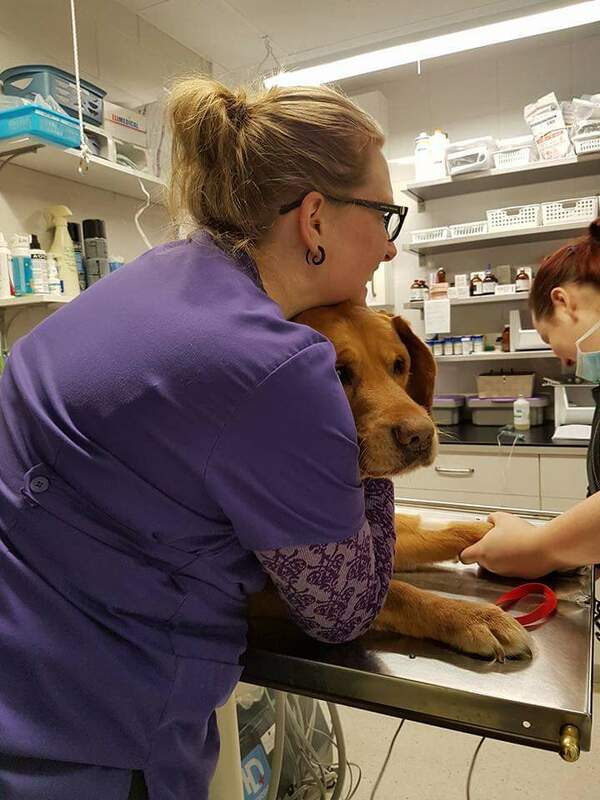 Click here to read an article from The Nugget's Community Voices on Thursday August 29, 2013 about Stem Cell Therapy now being offered at Blue Sky Animal Hospital. RVT Laurie and VT Jeanne D'arc prepare to place a catheter in Houston for surgery. 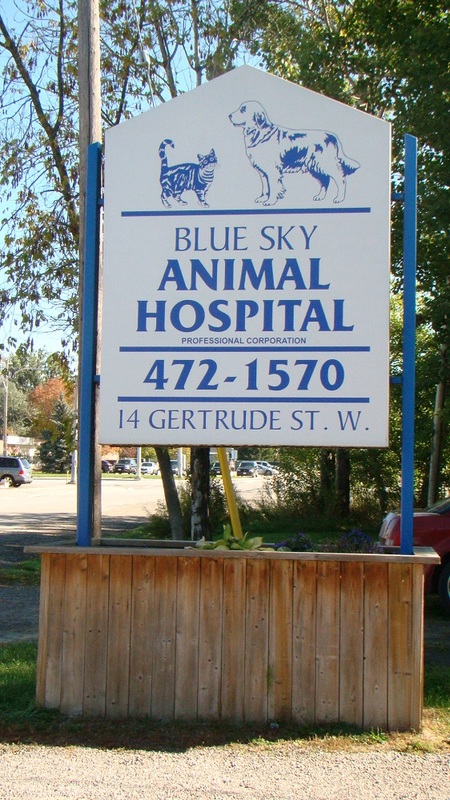 At Blue Sky Animal Hospital, we treat your pets like the valued family members they are.